Tim Wilson, a Yorkshire farmer who raises rare breeds on the edge of the North York Moors, has made a name for himself with his superb meat, sold in the Ginger Pig butcher’s shops in London. Yves-Marie Le Bourdonnec is Paris’s celebrity butcher who has made himself famous (if not exactly popular) in France by claiming loudly and often that les rosbifs (aka the British) are far better than the French at beef. It was somehow inevitable that one day the two would meet. When Wilson’s beef was honoured in 2010 with a Coq d’Or, a French award reserved for top-quality food products, Le Bourdonnec contacted him to propose a meeting. Together with a delegation of French butchers, he set off for Yorkshire on the trail of the formidable beef. 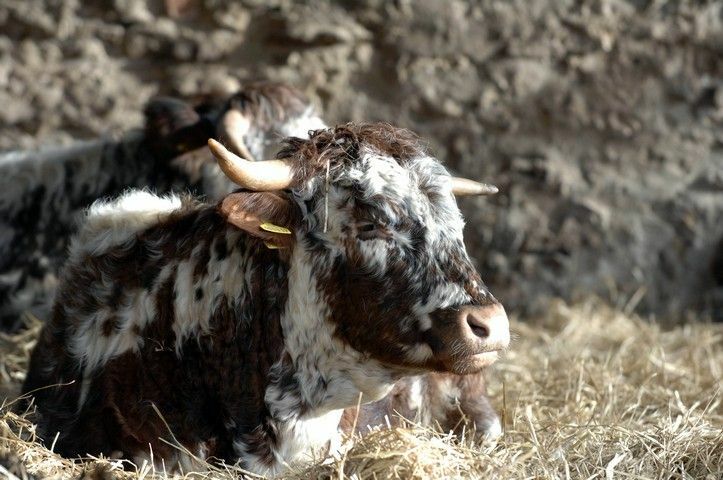 They visited the farm, observed the Longhorn cattle grazing the lush North Yorkshire meadows, stayed overnight at the local pub and feasted on Wilson’s prime beef, richly marbled with fat and bursting with flavour. “In my opinion, the British raise the best beef in the world”, remarks Le Bourdonnec, adding: “en France on est plutôt mauvais” (in France we’re rather bad at it). Late last year, when Le Bourdonnec was invited to join forces with the group behind the Experimental Cocktail Club to open Paris’s first US-style steakhouse, he readily agreed – on condition that all the meat would be sourced from Wilson’s farm. The Beef Club opened in February in Les Halles, Paris’s former central market district, with Ginger Pig beef on the menu.